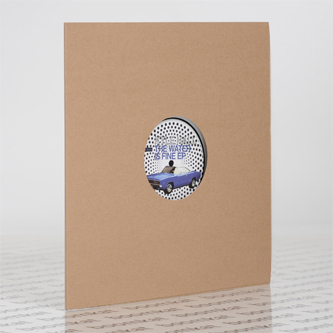 *Repress* Scrolling back a few years, Mood & Grooves present one of the very earliest (and digital only) Kyle Hall releases for the first time 'pon wax. 'The Water Is Fine' was produced roughly around the same time as his FXHE debut so what you're hearing is a lovely snapshot of a producer in near-embryonic form. 'Create Your Existence' makes a cautious start, taking its time to warm up with silken chords before dropping a thick house beat and sparkling keys. 'Tomorrow Is The Day' is nothing short of a stunning house track, the sort of gear you'd expect to hear from Shake in his prime (when in fact this guy was 17 when he wrote it! ), and finally 'One Ribbon' sails home on a kinked shuffle of raw percussion and head-melting interstellar jazz keys. Lovely.